The EV Star Min-eBus is an all–electric, zero emission, 25-foot bus that seats up to 19 people with an operational range of 100 to 150 miles on a single charge. Sacramento Regional Transit District (SacRT) awarded a contract to GreenPower Motor Co. Inc. for six EV Star All-Electric Min–eBuses for deployment on its SmaRT Ride service. 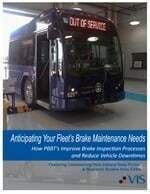 SacRT provides public transportation for the City of Sacramento and most of Northern Sacramento County. Earlier this year, SacRT launched SmaRT Ride, a new on-demand service where customers use a smartphone app to request shuttle rides within a designated service area. Following the success of its debut, SacRT received a $12 million grant from the Sacramento Transportation Authority (STA) to expand this service. SacRT plans on operating its SmaRT Ride shuttle service in 12 Sacramento communities, including the first disadvantaged community to receive the service. The STA grant stipulates that SacRT use a large portion of the funds to bring SmaRT Ride to areas that are currently underserved by transit. SacRT recognizes that mobility provides freedom by connecting people to essential services improving a person’s overall quality of life. SmaRT Ride provides that needed mobility and SacRT anticipates this new service will be well received by the community, as it goes a long way toward solving first- and last-mile challenges among transit passengers. The EV Star Min-eBus is an all–electric, zero emission, 25-foot bus that seats up to 19 people with an operational range of 100 to 150 miles on a single charge. 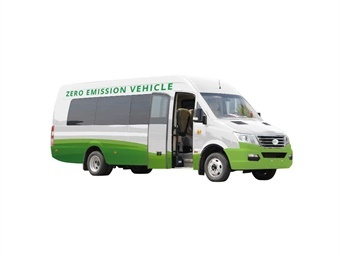 The versatile vehicle can be used for microtransit services, paratransit, vanpool, shuttle, school, employee transportation, or tourist operations. The EV Star is a perfect choice for cities, transit agencies and local organizations with a mandate to reduce emissions.